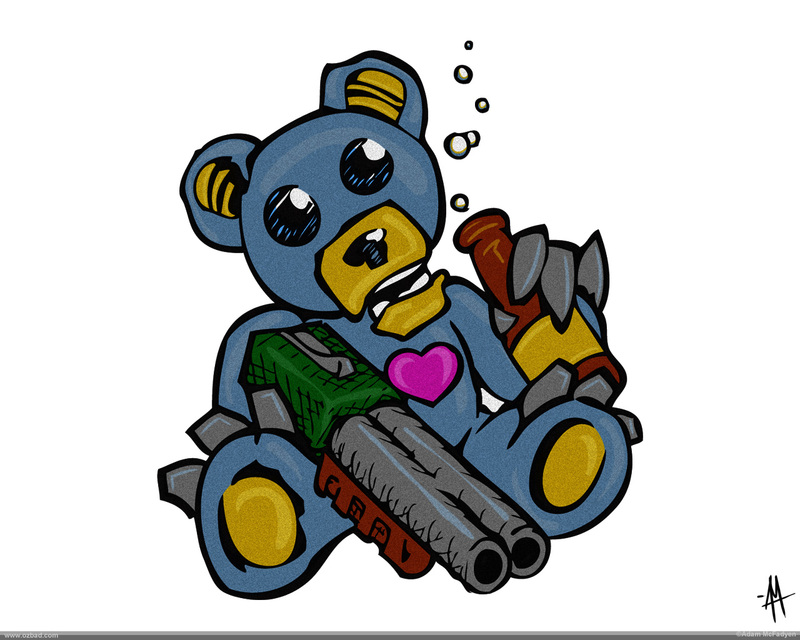 I’m not sure what to make of the Shotgun Drunk Teddy Bear… I guess he’s a cute, cuddly alcoholic hillbilly, a trailer-park carebear. 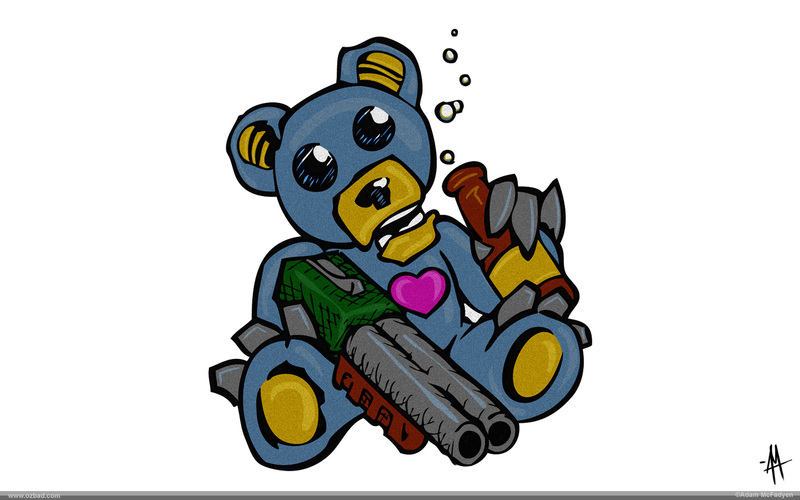 This cute drunk little hillbilly was originally sketched in 2004. 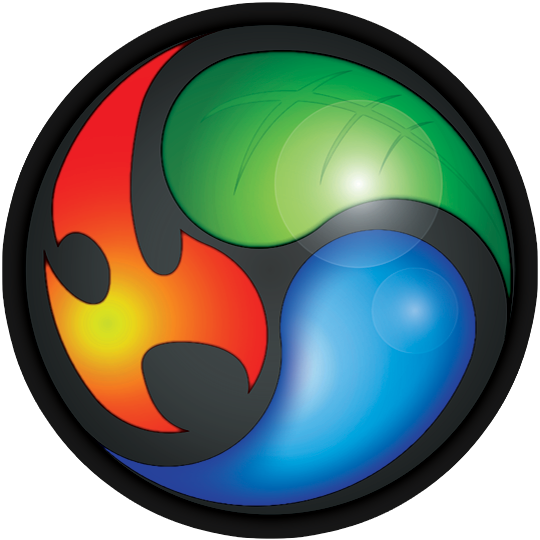 In recent years the outline has been converted to a vector graphic. This design is one of my top-5 pick to have printed on t-shirts down the road.